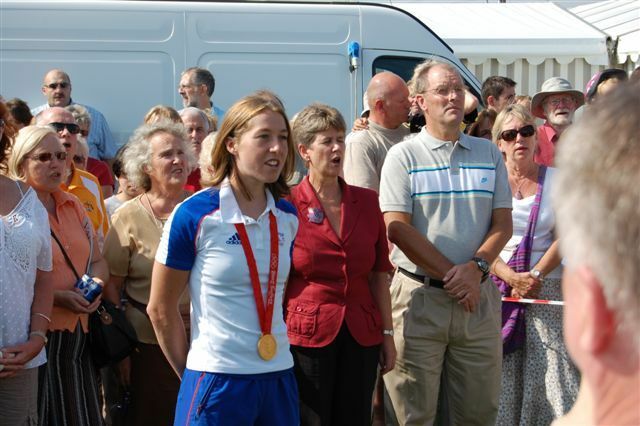 Olympic Games gold medallist Nicole Cooke received a rapturous welcome when she returned to her home village of Wick, near Bridgend, Wales on Saturday. 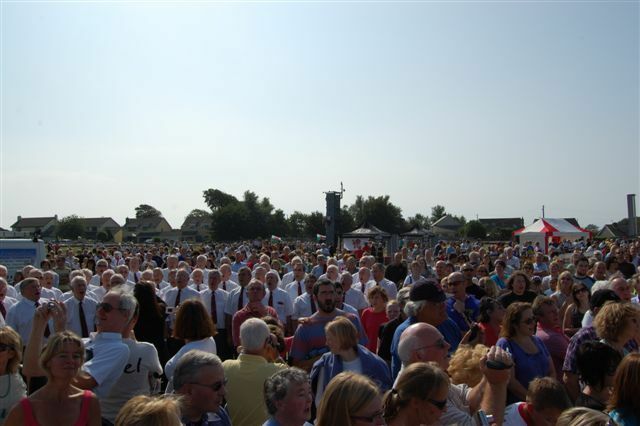 Hundreds of people took the opportunity to welcome Cooke home properly after her success in the women’s road race in Beijing. Cooke was escorted on an open top bus around the village where people lined the streets waving their Welsh flags and cheering. A calvacade of cyclists followed the open top bus on the journey around the village in a special tribute to Cooke. St Athan Band played on top of the bus and Bridgend male voice choir sang the national anthem. 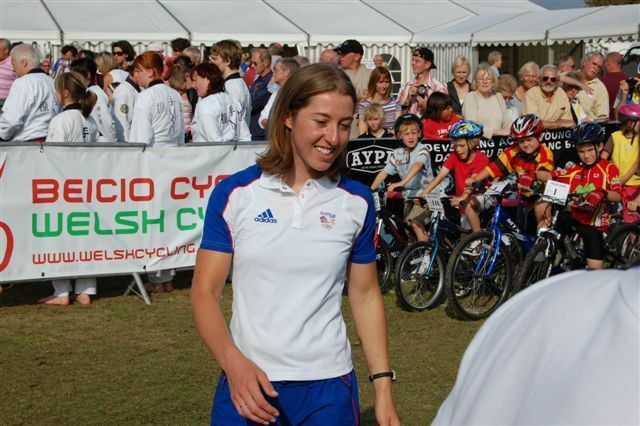 Last Tuesday Cooke and other Welsh members of Team GB had a formal civil ceremony at the Welsh Assembly in Cardiff, but this smaller reception was full of family, friends and well wishers as well as her young cycling fans. A plaque was unveiled at Wick village hall to honour Nicole’s achievements. The event had huge media attention with Sky, ITV, BBC and radio stations there. 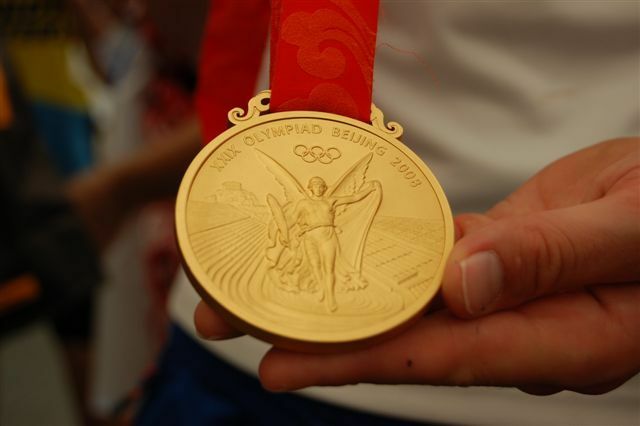 Cooke, of course, wore her Gold medal. “It’s fantastic to be here today, ” Cooke said. “I’m very proud to be part of such a great community”. She thanked the huge crowd for helping to make the day very special. 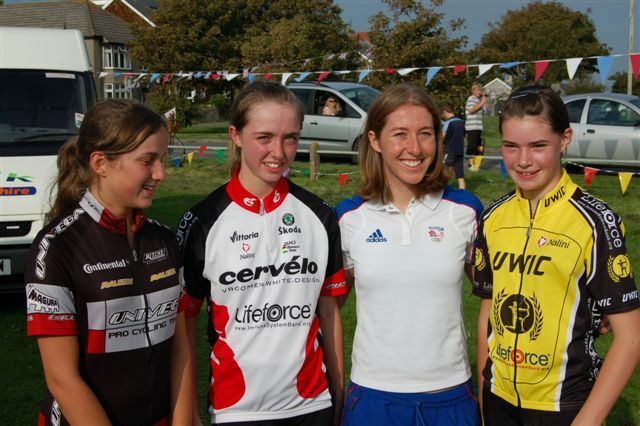 Later, young cyclists competed in races where Nicole waved them off at the start line and cheered them on.